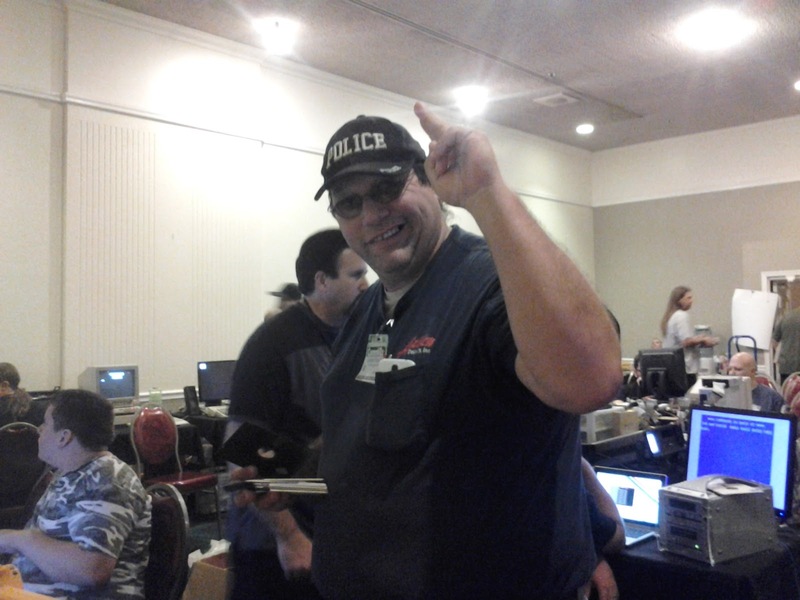 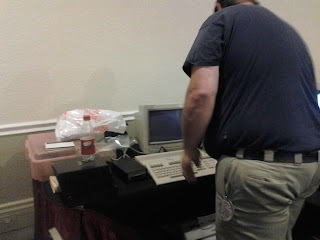 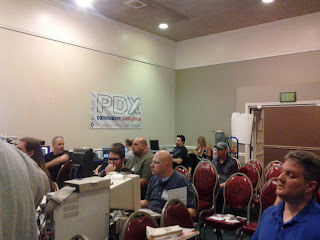 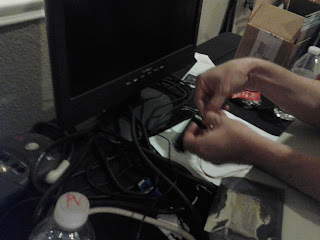 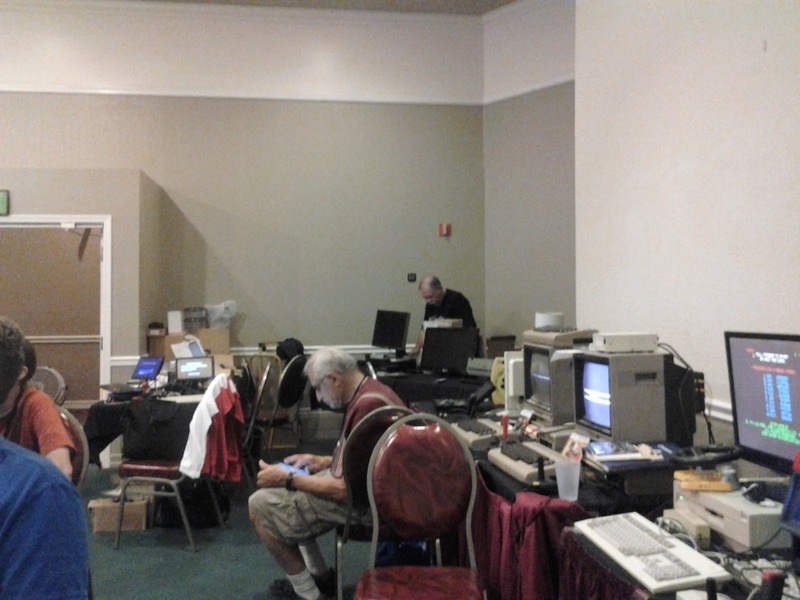 FCUG newsletter editor Leonard Roach tends to his set-up. 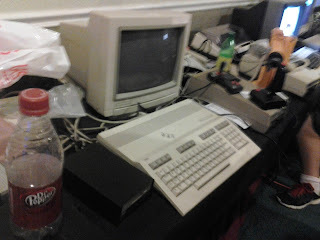 Was this C128 autographed by Bil Herd? 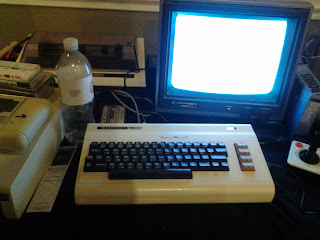 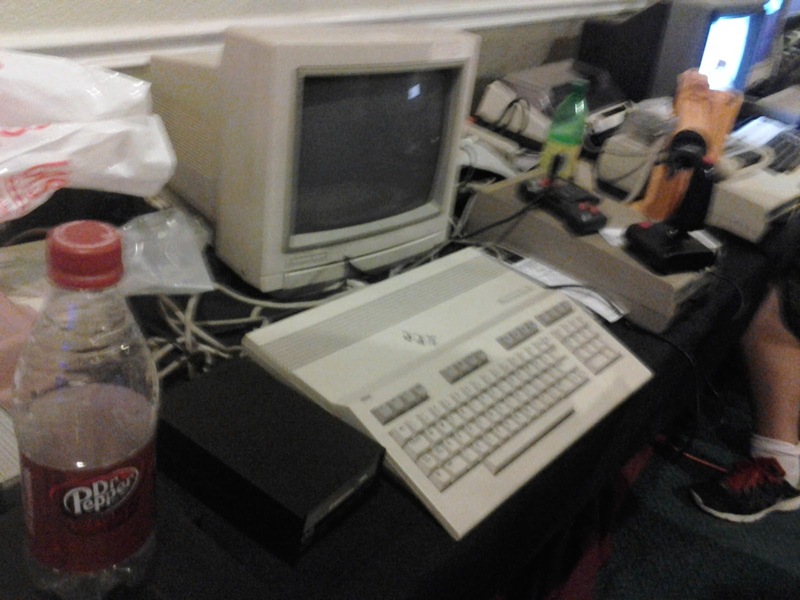 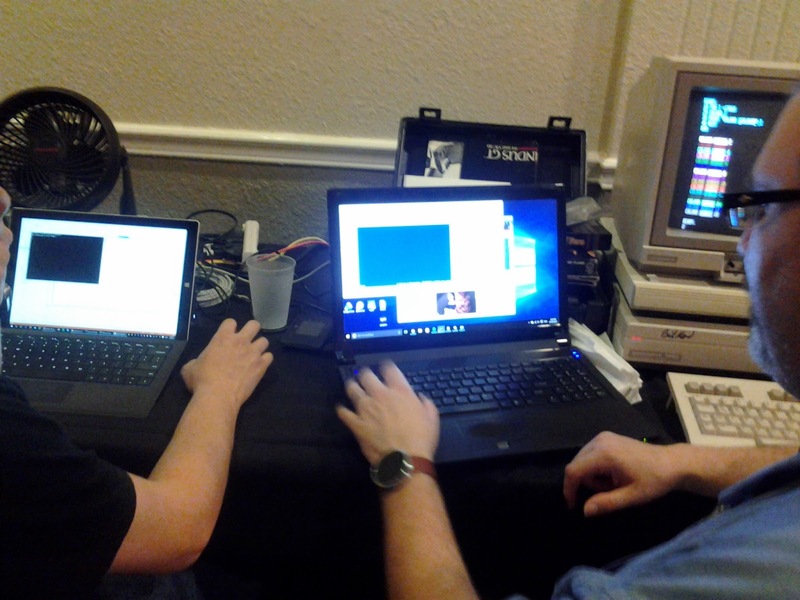 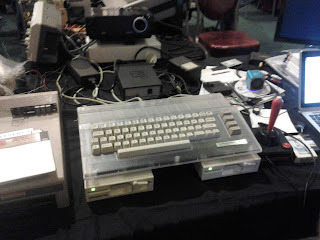 O.K., this C128 (center) was autographed. 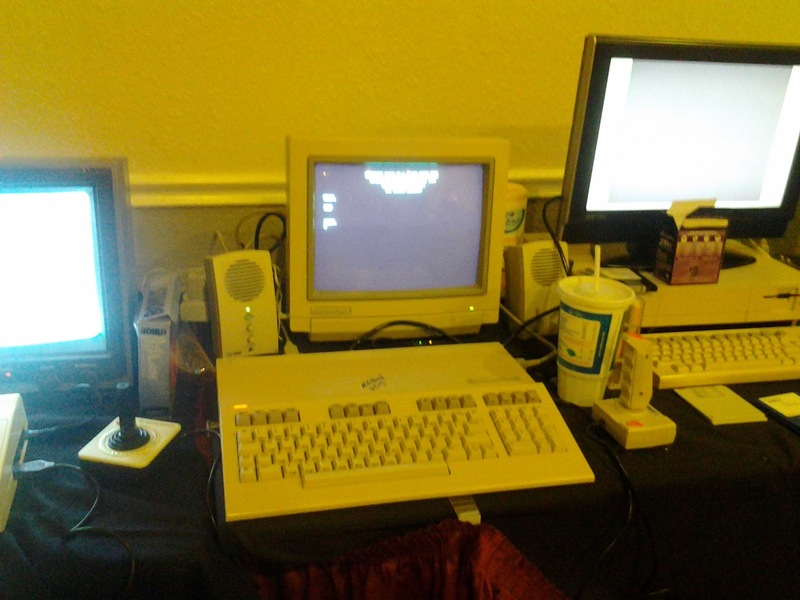 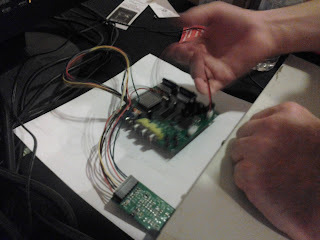 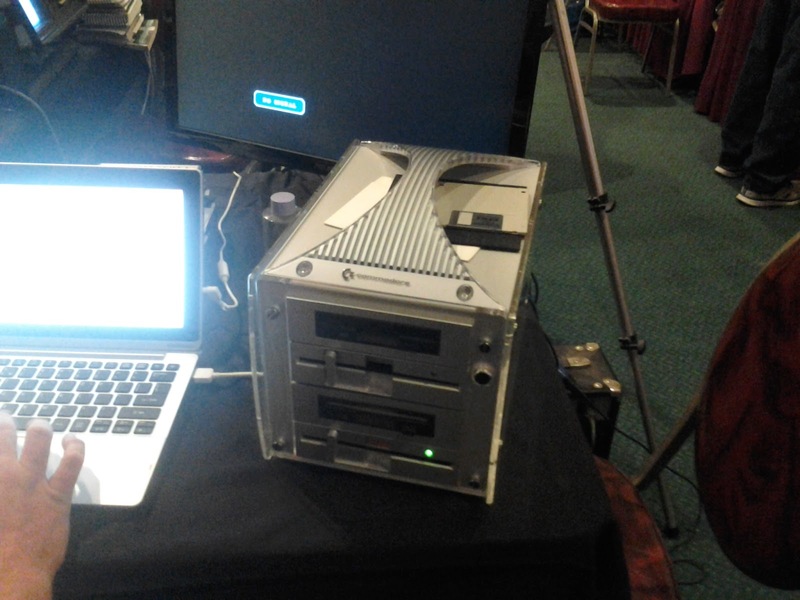 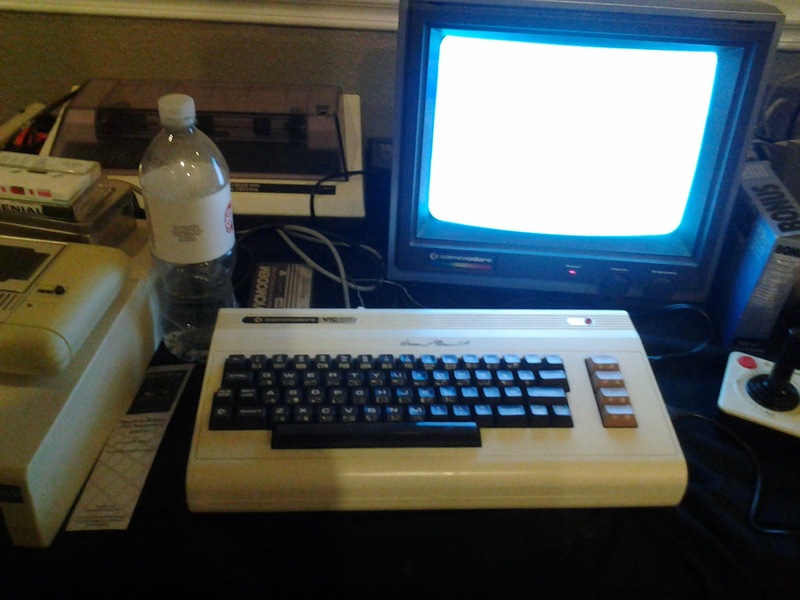 ... and the equipment is the C128 VGA adapter + GBS-8220. 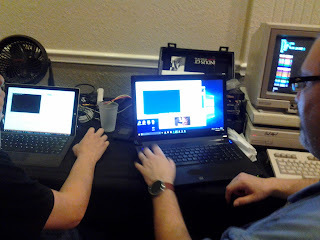 O.K., connect this photo to the right of the above photo.